A new hike-and-bike bridge will connect into a shared use path, allowing people on foot or on bikes to safely cross over a railroad track below. 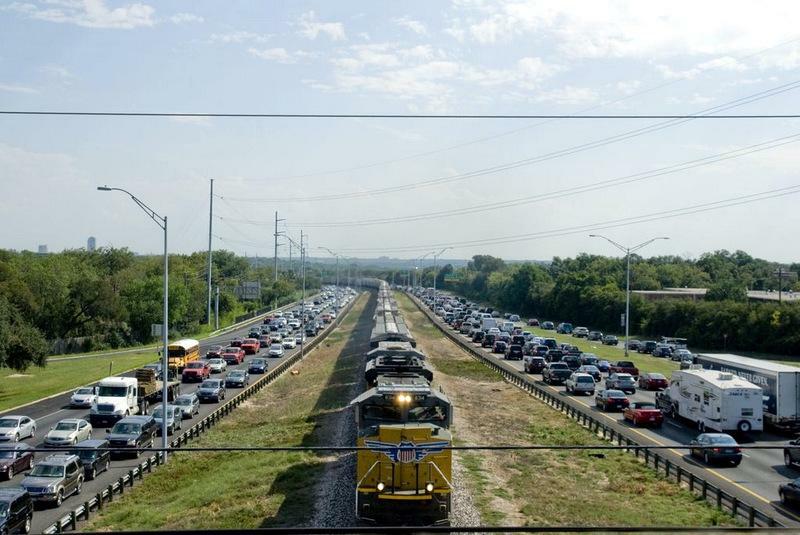 Start with the northern section of the MoPac highway, for instance, which is bustling with construction of the MoPac Improvement project, run by the Central Texas Regional Mobility Authority (CTRMA). The project is adding one lane in each direction to the highway from Parmer Lane to downtown. The lane will be free for transit and vanpools. Drivers can use the lane if they pay a toll, which will rise and fall based on demand. At an overpass near the Domain, workers are shuffling rebar into place to pour foundations for supports, but the work here isn’t for the new toll lanes. It’s for a bridge that won’t even have any cars on it. 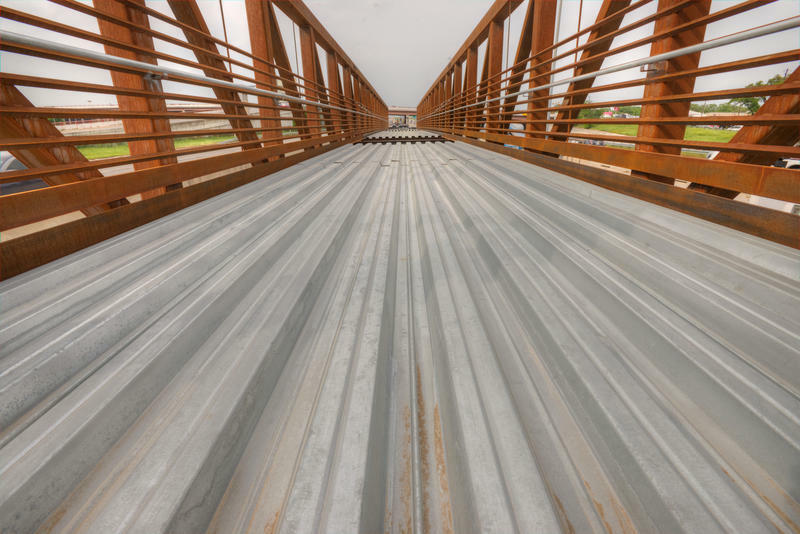 This bridge, when finished, will offer new connectivity for pedestrians or cyclists needing to get over the train tracks that separate the Balcones Woods neighborhood and the Domain, as crossing the tracks is sometimes dangerous. The bridge is just one of several improvements in the MoPac project that have nothing to do with cars. There are nearly $5 million worth of them, ranging from new, expanded sidewalks to bike lanes to crosswalk signals to dedicated shared use paths for people on foot and bike that will connect into the larger Walnut Creek trail system. A standalone hike-and-bike trail along the entire section of the project was considered in the early stages of planning, but was deemed too expensive and obtrusive and better left for the city to fund. All together, these walking and cycling improvements will make getting across and around MoPac on foot or by bike much easier. Other CTRMA toll road projects in the Austin region also include improvements for people on foot or on bike, many including dedicated paths for cyclists and pedestrians that connect to the city’s growing network of walking and cycling trails. "The [CTRMA] is unique in Texas for having that level of commitment," says says Robin Stallings, Executive Director of Bike Texas, a statewide cycling advocacy group. "They have a strong commitment to including these facilities when they build a roadway, and it’s smart. It ought to be the standard way of doing business instead of the exception." Stallings says one reason it’s smart to include pedestrian and bike improvements in a road construction project like the one on MoPac is that it’s a relatively cheap add-on, since you’ve already got the construction equipment out there building the road. “It also helps them connect with the community, because they’re really providing something of benefit to the neighbors along there, not just a roaring highway for long-distance commuters," Stallings says. It can also be also fiscally attractive — tax dollars aren’t at stake, because the toll revenues will pay for the cycling and walking improvements. There are also some separate, non-toll road dollars on the way from the federal government for cycling improvements in Austin. To see what they'll do, all you have to do is take a short bike ride on Barton Springs road. Jim Dale of the Austin Transportation Department at an intersection with a dedicated signal for bikes on Barton Springs Road. “One of the biggest complaints we get from the cyclists is about being detected at signals. 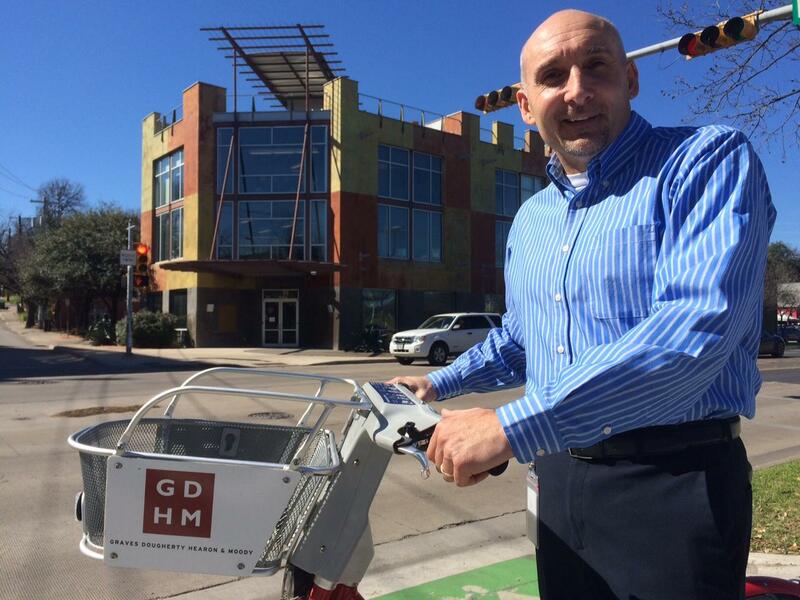 It’s a challenge for them," says Jim Dale with the Austin Transportation Department. At the intersection of Bouldin Avenue and Barton Springs, Dale shows off a stoplight that's unique in Austin. It’s designed specifically for bikes. “You can see that by the cutout here, just beneath the stencil for the bicyclists. Where the cyclist needs to pull up to for the signal to recognize that a cyclist is here and needs a green light," Dale says. This intersection is designed to detect when cyclists are there, and there's a green light phase just for bikes. Soon there will be more signals like this in town, along with video detection so that cyclists don’t have to sit at red lights too long if there’s no other traffic around. “It will definitely make it more attractive and easier for cyclists to pass through the signalized intersection. And safer as well," Dale says. The signals do not prioritize bike traffic, they merely recognize it the same way they currently do for car traffic. The money for these new bike signals and bike detection is coming in large part from a federal grant through the Texas Department of Transportation. While TxDOT has typically focused on building roads, this latest $250,000 grant for cycling (coupled with $50,000 in city funds) is significant. Even basic city road re-surfacing projects in Austin consider whether a bike lane can be added and what kind of safety improvements can be made, according to Laura Dierenfield, the city's Active Transportation Program Manager. "What you're doing, essentially, with resurfacing is, you're wiping the slate clean. You're taking the stripes away, and you're putting them back," she says. 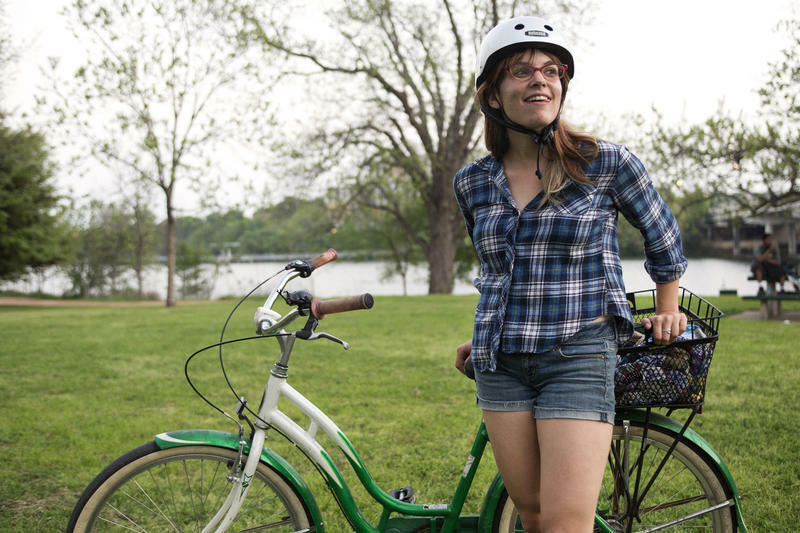 Combined with the sidewalk and cycling improvements in the Austin area toll road projects, there’s a sizable amount of road planning, projects and dollars being put towards helping Austinites on bikes and on foot.